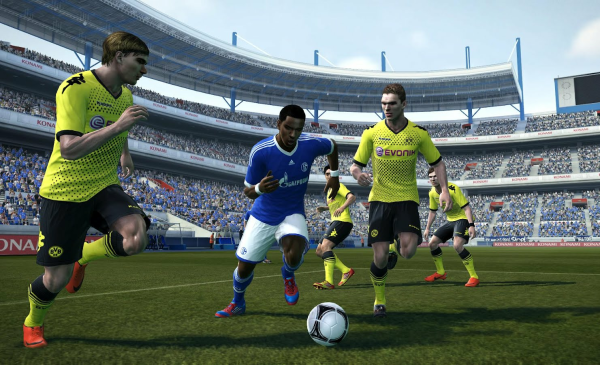 Three Bundesliga sides will feature in PES 2013. Skip to 5:57 to see Mano confirm there are "three teams planned for PES 2013". In PES 2012, there were only two licensed German sides - Bayern Munich and Bayer Leverkusen. However, this year, Konami are planning to go a little further. Schalke 04 are expected to be one of the three licensed German sides.